San Diego, CA—In a survey of women with breast cancer, many expressed fear about the side effects of radiation before they received it, but after receiving radiation, the vast majority reported that their fears and perceptions were unfounded, and that the actual reality was much better than expected. Physicians can discuss these findings with patients to help allay their fears and anxieties regarding radiation. “Radiation oncologists know first-hand that our patients come in with fears and, sometimes, misconceptions. Unlike many other treatments and fields of medicine, it is very hard to imagine what radiation therapy will be like. Still, it is surprising to find that upwards of 90% of women surveyed agree that if future patients knew the reality of the radiation therapy experience, they would be less afraid of treatment,” said lead investigator Narek Shaverdian, MD, Radiation Oncology Resident, David Geffen School of Medicine, University of California Los Angeles, at the 2017 American Society for Radiation Oncology (ASTRO) annual meeting. He pointed out that the study was conducted in the modern era, where advances in technology and improved radiation schedules have made radiation more convenient and less toxic. “Our study shows that women who received modern breast radiation therapy overwhelmingly found the treatment experience far better than expected. The negative stories out there are frightening and pervasive, but they generally are not reflective of the actual experience,” said senior investigator Susan McCloskey, MD, MSHS, Assistant Professor, Radiation Oncology, David Geffen School of Medicine, University of California Los Angeles. “This study addresses aspects of patient care that are not always given top billing but are important for our patients,” said Brian Kavanagh, MD, MPH, FASTRO, Chair, ASTRO, and Professor, Department of Radiation Oncology, University of Colorado School of Medicine, Aurora, who moderated a press conference at the meeting. Women with preinvasive or invasive breast cancer treated between 2012 and 2016 were included in the study. 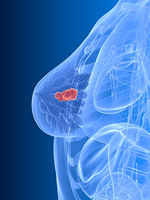 Eighty-two percent of patients had breast-conserving surgery. Of 502 patients, 327 (65%) completed the Breast Radiation Therapy Experience Questionnaire a median of 31 months after receiving radiation. Patients’ pretreatment beliefs were compared with beliefs after the actual radiation therapy experience. The median age of respondents was 59 years (range, 28-89 years); 77% were white, 10% were Asian American, 10% were Latino, and 3% were African American. More than 75% of the women had a college education. Disease stages among the patients were 0 (18%), I (38%), II (34%), and III (9%). Before receiving radiation therapy, 221 (68%) women said they had little to no previous knowledge about radiation, whereas 152 (47%) had previously read or heard “frightening” stories about women having serious side effects related to radiation therapy. The statement “My radiation therapy was less scary than I thought it would be” was deemed “definitely true” or “mostly true” by 87% of all patients and 90% of patients who underwent breast-conserving surgery.